Cool nature girl vector wallpaper. 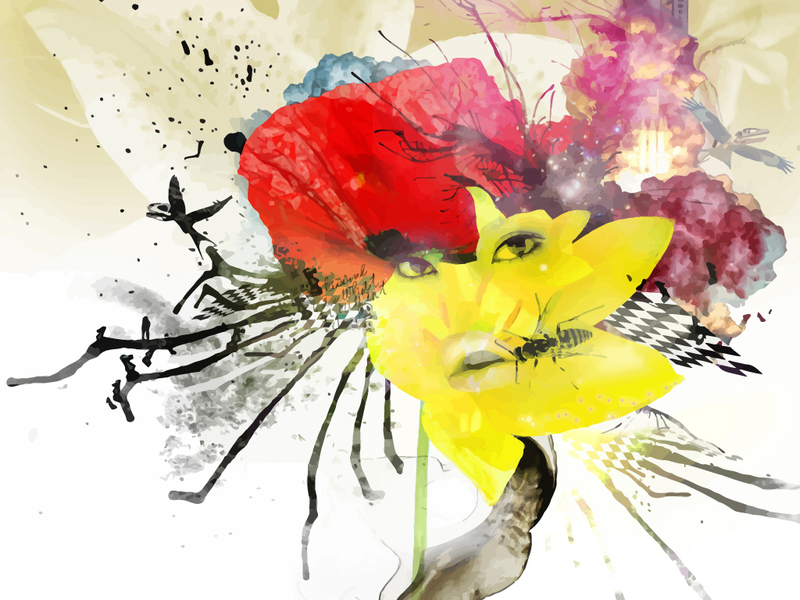 Vector illustration of a girl, shattered nature shapes, insects, birds and explosions in amazing colors. Future nature digital art vector wallpaper graphics to use as desktop wallpaper or computer background, wallpaper JPEG & Illustrator EPS, AI, PDF and SVG vector art format. All images are copyright of the respective owners.